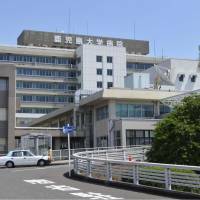 KAGOSHIMA - Multidrug-resistant Acinetobacter and a similar bacteria have been found in 15 patients, eight of whom have died, at a hospital in Kagoshima Prefecture since 2016, the hospital disclosed Friday. 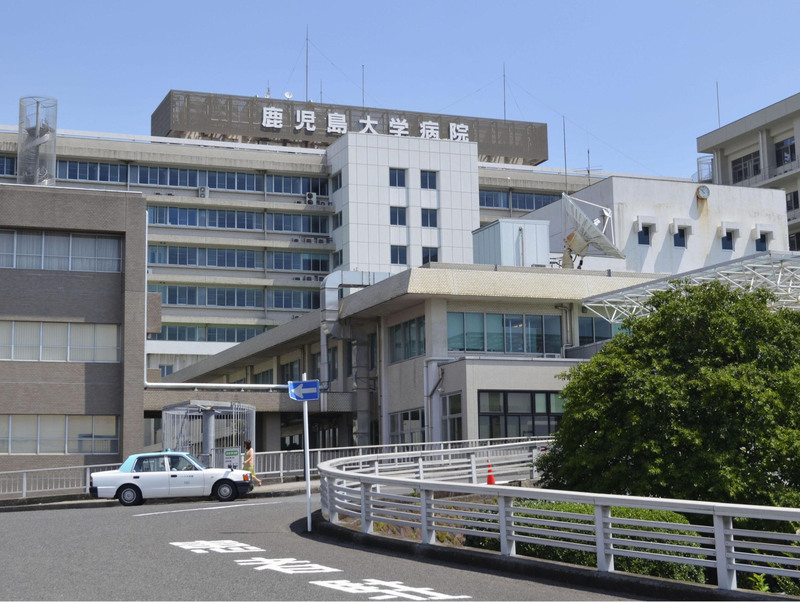 Kagoshima University Hospital in the city of Kagoshima denied any link between the infections and four of the deaths, while admitting the infections could have affected the progression of illnesses in the other four. It said the environment of its intensive care unit could have caused the infections, and apologized to the patients’ families. “We will consider inspecting the hospital based on the medical care law,” health minister Katsunobu Kato said. MDR Acinetobacter can cause serious infections, particularly in one’s lungs and blood, and is hard to treat because it is resistant to most existing antimicrobial agents. It may be found on human skin and other places in humid environments. Sanitizing with alcohol is said to be effective against the pathogen. Of the 15 infected patients, MDR Acinetobacter was detected in five who had been hospitalized between April last year and this April. A bacteria with similar traits was found in the remaining 10, who were admitted from September 2016, the hospital said. According to the hospital, it stepped up cleaning around the infected and screened other patients but might have fallen short on its risk evaluation process. In-hospital infections of MDR Acinetobacter have often claimed the lives of those hospitalized for other illnesses. Between February 2009 and October 2010, 60 people at Teikyo University Hospital in Tokyo were infected with MDR Acinetobacter, and 35 of them died. Four people also died at Fukuoka University Hospital between October 2008 and January 2009 after being infected with the bacteria. Placed within the top priority group, the bacteria poses a particular threat in hospitals and nursing homes and can cause severe and often deadly infections, WHO says. The group also says antimicrobial resistance in general spreads through the misuse and overuse of antimicrobials. To address resistance, the organization is calling for better prevention of infections and appropriate use of existing antibiotics in humans and animals. Japan is seeking to reduce its antibacterial use to two-thirds of its 2013 level by 2020. News of the Kagoshima infections comes as the journal Science Translational Medicine reported a study Wednesday on multidrug-resistant “superbugs” that are becoming increasingly resistant to alcohol-based hand sanitizers and disinfectants. In the study into what researchers described as a “new wave of superbugs” that can also cause dangerous infections in hospitals, the team found specific genetic changes over a 20-year period in vancomycin-resistant Enterococcus (VRE) — and were able to track and show its growing resistance. Still, Paul Johnson, a professor of infectious diseases at Austin Health hospital in Australia who co-led the study, singled out alcohol-based disinfectants — which are central to hospital infection control — saying the findings should not prompt dramatic changes in their use.